Masks are a very interesting topic. They can be used to mask our real physical faces for fun but can also been used to reveal our inner selves. In rituals, shamans or role players use masks to act out mythical characters, archetypes or personas (persona literally meant “mask” in ancient Latin). We all have these characters either individually or collectively dwelling in our dreams or inner worlds. One good way to get to the meaning of these characters is to bring them out into the open. 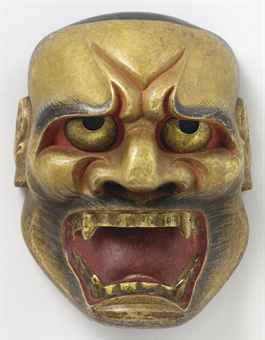 The ancient world used masks to symbolize and convey personalities and emotions that defined their cultures. Some cultures have come up with some very distinct styles but some similar types of masks can be seen across cultures worldwide. For example you can find many skulls, demons, bird-men or wolf-men all over the globe. Here is a small sample of masks. I agree with the paragraph above about how the mask faces can be sometimes things we see like in our dreams and stuff. I think the masks are really cool and I like that you can be creative with them and they can even mean something. I think it's cool how people's emotions can come out in their art work, especially when it's in a mask and another face is being created. I think it is very interesting how through all the different cultures there is a significant difference between the layout and designs in the mask. All the masks do a great job of showing what emotion is being shown. I like the first mask because it shows a lot of emotion. I think mask are a cool and beautiful way to express yourself. With this piece of art, you can express how you feel in a physical way through the mask, rather than emotionally expressing it yourself.